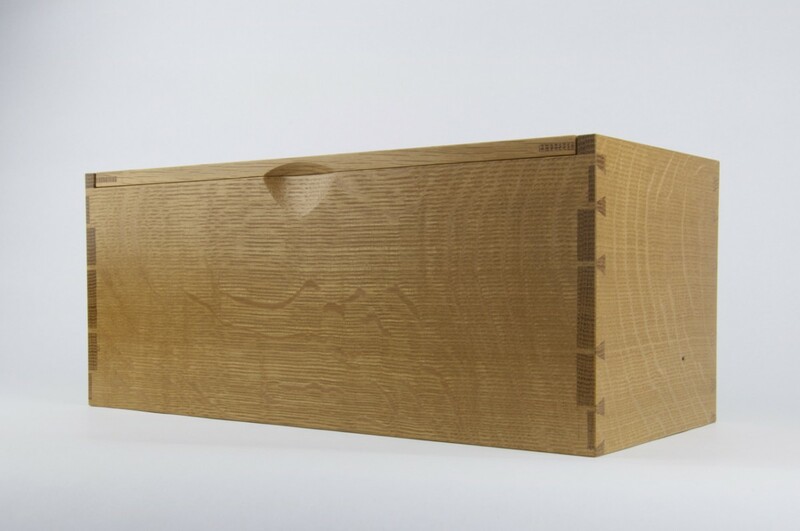 Two small planks of quartersawn white oak, saved from a previous home and carefully guarded for many years, were the inspiration for this handmade box. 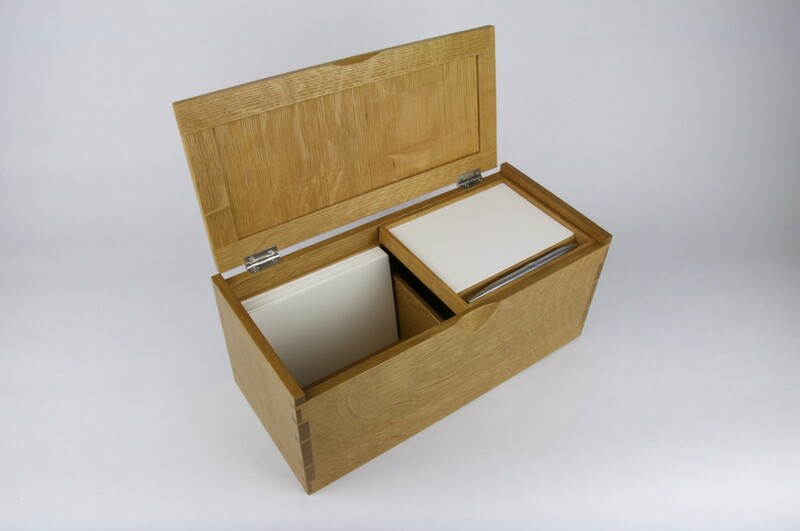 From layers of stain and old finish have emerged the beautiful glow and shimmering figure of natural oak, here formed to protect cherished family recipes. 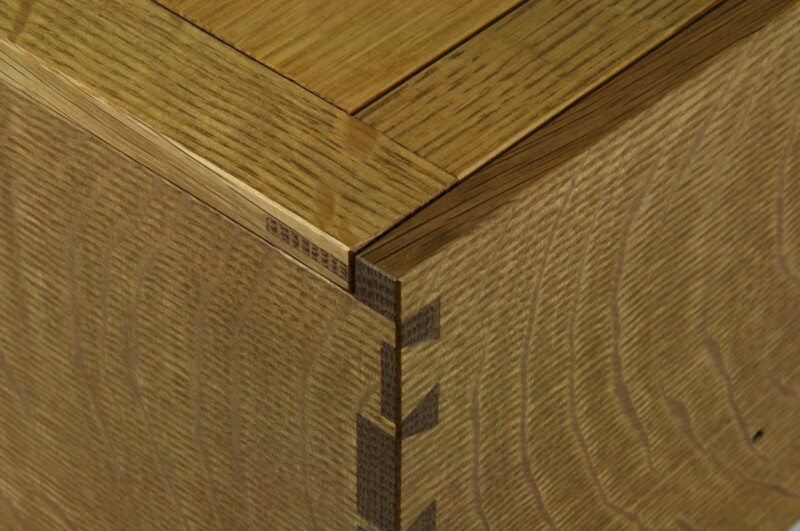 On the outside, decorative dovetails lend solidity and import to the box’s character, while waves of white oak’s famous ray flecks dance on the surface. 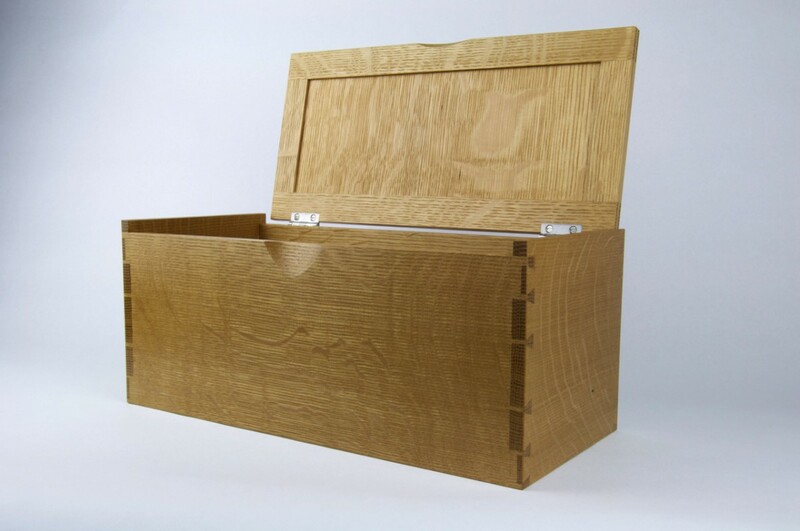 The lid features a bookmatched panel that subtly guides the hand to a contoured recess along the front edge, allowing the top to be gently opened with the push of a thumb. Inside, 4″ by 6″ cards are neatly arranged in two rows, separated by a central divider. 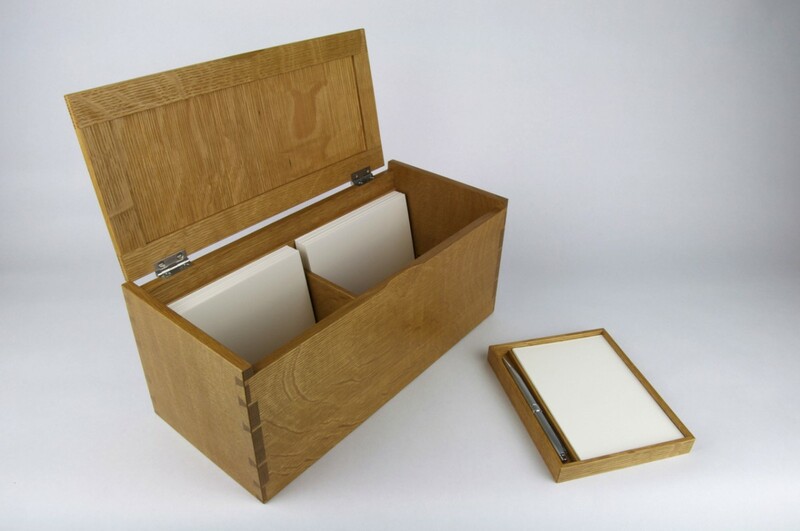 A small tray with divisions for blank cards and a pen slides on a track just above the lower recesses. 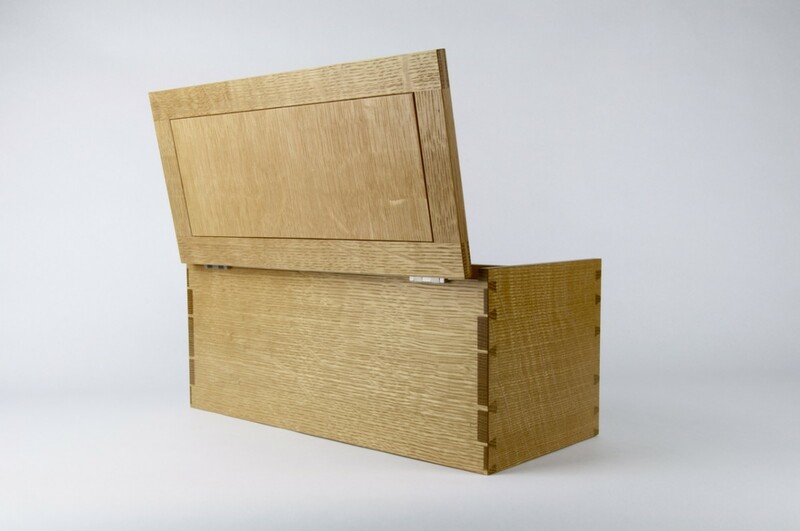 The removable tray may be slid to either side in order to access the cards below. Once a card is selected, it may be tucked into the frame of the lid, which rests slightly past vertical when open.